In the Sacramento Valley, two surface water storage projects are currently being investigated as a continuation of the CALFED Surface Storage Investigations, the North-of-Delta Offstream Storage (NODOS), sometimes referred to as the Sites Reservoir project, and the Shasta Lake Water Resources Investigation. These projects are being designed and evolved to provide more reliable water supplies for cities, farms, birds, fish and recreation. What is the Sites Reservoir Project? The Sites Reservoir, sometimes called North of the Delta Offstream Storage, would divert water from the Sacramento River and its tributaries through existing canals during high flow periods (i.e., December, January, and February) into an off-stream reservoir, so the water would be available for use later in the same year or stored across years for drier periods of time, such as this year. Where is the Sites Reservoir? The proposed project is located in the Antelope Valley of the Coast Range, on rangeland approximately 10 miles west of Maxwell in Colusa County. Who would benefit from the water? All Californians. The water in Sites Reservoir will be managed so that every drop in the Sacramento Valley will serve multiple uses. For example, water released from the reservoirs in Northern California serves triple duty–as cold water for salmon rearing in the upper reaches of the rivers, to grow crops in the valley and to provide significant wildlife habitat for millions of birds along the Pacific Flyway. Additionally, a significant portion of water released for salmon would also flow south to California’s Bay-Delta, where water will provide salinity control and benefit fisheries and provide water supply for other water users throughout the state. How much water would the project store for later use? The total amount of water that can be held in the project would be between 1.2 million acre-feet and 1.8 million acre-feet depending upon which project alternative is selected. For context, Folsom Reservoir near Sacramento holds nearly 1 million acre-feet. With respect to use, 1.8 million acre-feet is enough water to meet the needs of up to 3.6 million households or 14.4 million residents for one year. How much water could the project provide during the year? From the water stored in the project, the total amount that would be available for use is about 500,000 acre-feet each year. For example, in 2014, during this very dry year, 500,000 acre-feet of additional water would have been available in Northern California to help meet cold water and streamflow requirements, improve delta water quality and flow, and provide water supply to users throughout California. Would Sites Reservoir be integrated with other water supplies in Northern California? Yes, Sites Reservoir would provide added benefit in the way it can coordinate with other reservoirs in the Sacramento Valley (including Shasta Reservoir, Oroville Reservoir and Folsom Reservoir) to hold and release water. These coordinated actions can increase the overall yields of the projects by up to 1 million acre-feet per year above what they currently produce. The addition of Sites reservoir to the state’s water system would thereby increase the total water supply availability by up to 1.5 million acre-feet annually. As an example, through this integration, additional water could be stored in Folsom Reservoir for use in the Sacramento Metropolitan region. Does Sites Reservoir provide public benefits? Yes, up to half of the water produced by the project (e.g., 250,000 acre-feet each year) could be dedicated to provide public benefits as described in Proposition 1 on the November ballot, which includes: ecosystem improvements, including changing the timing of water diversions, improvement in flow conditions, temperature, or other benefits that contribute to restoration of aquatic ecosystems and native fish and wildlife, including those ecosystems and fish and wildlife in the Delta. The public benefits provided by the project could also include water quality improvements in the Bay-Delta or in other river systems, flood control, emergency response and recreation. Is Sites Reservoir another 'big dam' project? No, Sites Reservoir is an off-stream reservoir, which means that it will not be located on a river and it will not impact fish or any wild and scenic rivers. 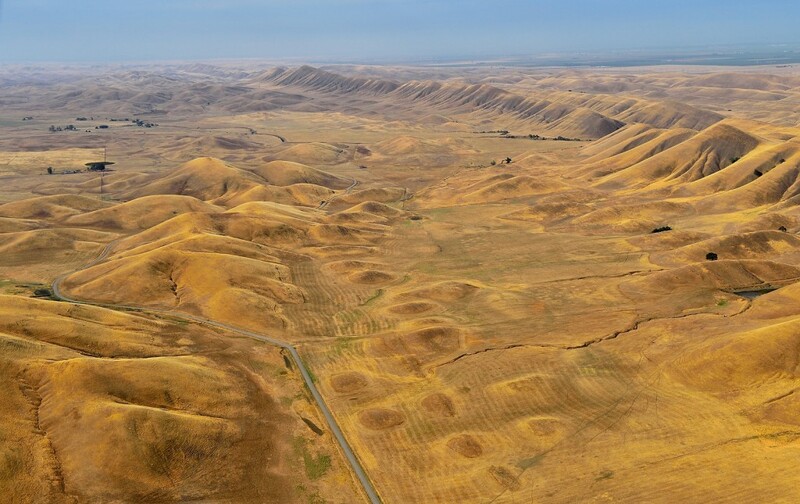 The reservoir will fill the Antelope Valley—a natural bowl of dry rangeland along the Coast Range. The reservoir is part of an innovative 21st century water project, where water will be pumped up into the reservoir from existing canals that will contain water from the Sacramento River and its tributaries. To store this water, a series of relatively small dams will be built to fill in notches on the hillside surrounding the dry Antelope Valley. Sites reservoir will function as a large regulating reservoir, which allows both water and power to be stored during times of surplus so that the water and power can be used during times of need, such as this dry period. As an example, the infrastructure for Sites Reservoir would be very similar to the Los Vaqueros Reservoir and Watershed project that was built in the Bay Area and expanded in 2012. Does Northern California support Sites Reservoir? Yes, in 2010, a Joint Powers Authority (JPA) of public entities throughout Northern California was formed to manage the Sites Reservoir investigation and project. The Sites JPA members are the Counties of Colusa and Glenn and the public water agencies: Glenn-Colusa Irrigation District, Reclamation District No. 108, the Tehama-Colusa Canal Authority, Maxwell Irrigation District and Yolo County Flood Control and Water Conservation District. Elected officials in the region unanimously voted for Proposition 1 and there is strong bi-partisan support from the Congressional representatives in the region. The editorial boards of newspapers throughout the region have expressed support for Sites Reservoir. With all the discussion around groundwater management in California, would Sites Reservoir benefit groundwater resources? Yes, the operation of Sites reservoir could be integrated with groundwater management in the region, helping to recharge groundwater basins during wet periods so the groundwater resources in the region would be more sustainable and more reliable during dry periods when surface water is not available. Will Sites Reservoir produce hydropower? Yes, Sites Reservoir will be operated to pump water into the reservoir during the winter when energy demands are low. Water will then be released from the reservoir during the summer for irrigation and environmental benefits, which will also generate power during peak energy periods in California. This flexible power generation, which can quickly ramp up or down to support wind and solar generation, will provide net revenues to support the project and it will serve as a benefit to California’s power system. What would happen if Sites isn't constructed? Northern California and the entire state will continue to suffer from water shortages and severe cutbacks to cities and farms; yet, the environment will be severely impacted without new infrastructure. Sites Reservoir will not solve all the state’s water problems, but it would make significant improvements in providing water security and significant flexibility for all these uses during dry periods. For more information on Proposition 1 click here. The Shasta Lake Water Resources Investigation (SLWRI), which is being led by the Bureau of Reclamation, “is designed to evaluate the feasibility of expanding the capacity of Shasta Reservoir for improved anadromous fish survival and improved water supply reliability, and to address other related resource needs in the primary and extended study areas.” This expansion would be achieved by raising the height of the existing Shasta Dam, thereby increasing the depth and inundation acreage of the project. The SLWRI Plan Formulation Report, which was issued in December 2007 proposed five different alternatives with dam raises varying from 6.5 feet to 18.5 feet, and resulting storage increases ranging from 256,000 acre-feet to 634,000 acre-feet.